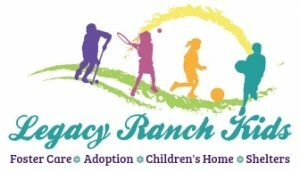 Thank you for being a part of Legacy Ranch. We cannot do it without your support. Legacy Ranch is a 501(c)(3) organization and all donations are tax deductible. We currently have over 170 foster homes in the Central Texas area along with two Emergency Shelters and our Freedom Ranch Retreat Center. In addition to financial donations, below is a list of items and services that we respectfully request to help fulfill our vision and make this experience as rewarding as possible for the children. There is also a link to our Foster Children’s Wishlist located on Amazon.com that will ship automatically to the appropriate Children’s Home upon purchase.